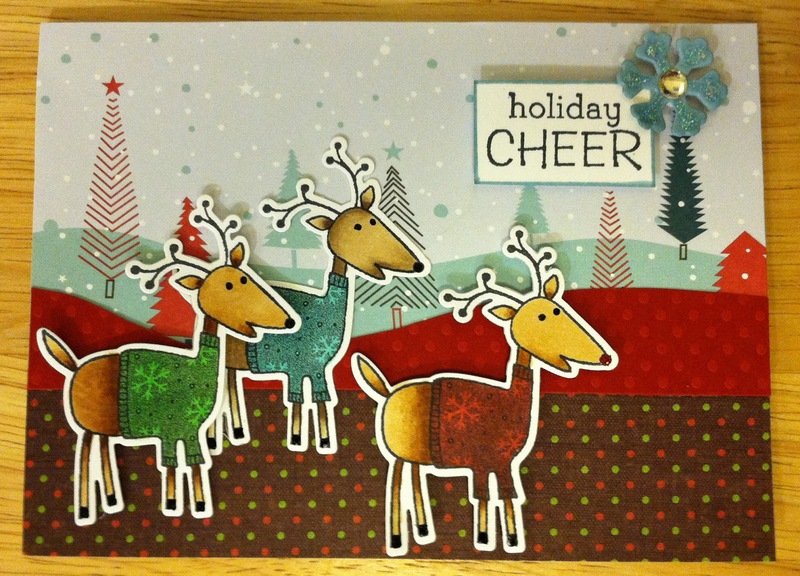 I just love these Hero Arts Reindeer and they are so much fun to work with. A simple one color for the sweater and a little color on the bodies and they are done. The papers I used are from a Xmas petite paper pad from Lawn Fawn, the Festivus Collection from Recollections and Bazzill. I wanted to share a small project that my husband I did today. 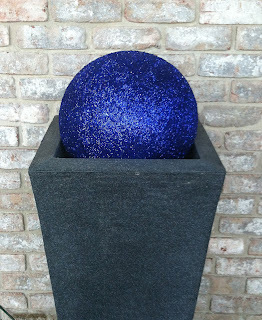 I wanted something to go in my planters on the front porch, (which usually hold flowers during the summer) but really never found anything for the holidays. I could always put out small Christmas trees but wasn't really sure that's what I wanted. So I thought that a simple ball would be nice. Now that I had the idea the next step was to find it at the store. 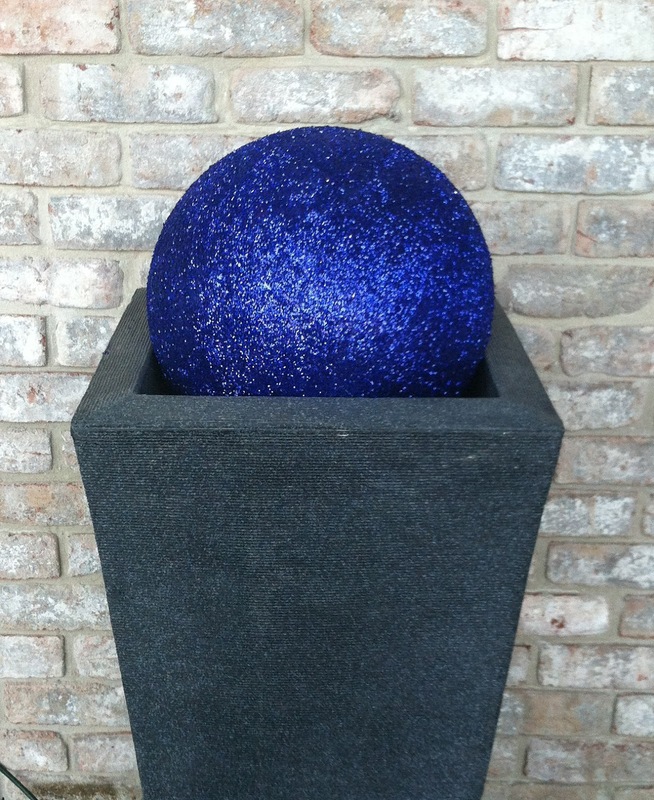 Well, I needed something at least 15 inches in diameter and I couldn't find a pre-made ornament ball that big. Solution, we purchased basic children's balls and then applied glitter. We sprayed them with Super 77 adhesive then sprinkled glitter all over the ball. The balls were already blue, but we needed to cover all the Spider Man decals. The look really nice, so I'll see how they hold up in the weather. They could possibly be bigger but look good from the street.